[Jesus said,] "The true bread of God is the one who comes down from heaven and gives life to the world." "Sir," [the people] said, "give us that bread every day." The people's request is a valid one. Jesus even taught us to pray for our "daily bread." The problem is that requests for physical blessings are sometimes substituted for requests for a relationship with Christ and for an intimate walk with God. 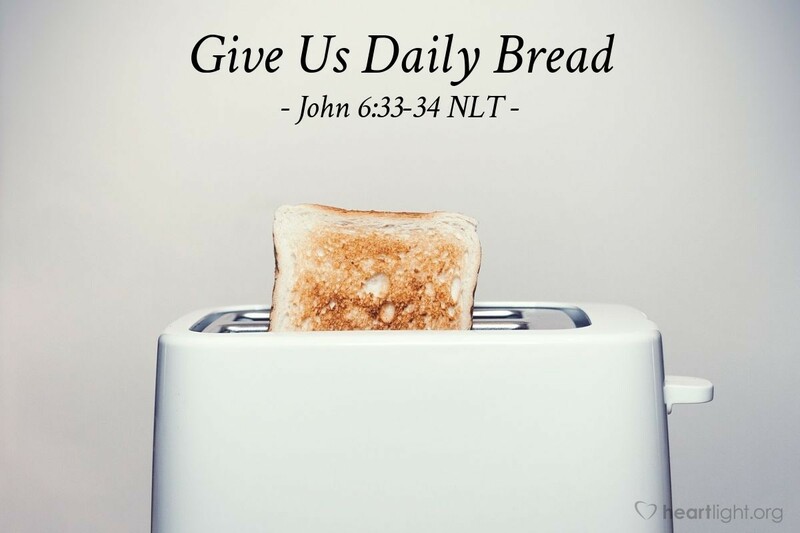 "Daily bread" sustains for only a day. The bread God most longs to give us sustains forever. What have you set your sights upon: "daily bread" or the eternal "bread of life"? Our goal is to pursue the latter, depending on God to give us the former! Pursue God's eternal bread of life, and you get both. Pursue daily bread, and you get eternal hunger. O LORD God, my Father in heaven, please fill my heart with a passion for the right bread. Please give me the true bread of life to sustain, nourish, and fill me. I believe that Jesus not only has the words of life but that he also is the true bread that has come from you to give me life. Give me a holy passion to know him and to be filled by him. I pray this in his name. Amen.